Our team will walk you through each phase to ensure you have the look and quality you desire within an efficient timeline. 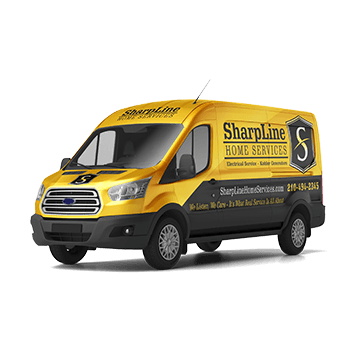 Here’s an overview of what to expect and answers to frequently asked questions about working with us to wrap your vehicles. During the design phase, we lay the foundation for your fleet branding. We’ll ask you to provide everything on our “Design Assets” checklist. Once we have those materials, please be available to answer our design team’s questions and offer direction and feedback. This process takes about a week, depending on your availability and responsiveness. If you supplied us with a design, our team will lay out the graphics on our templates within one to two business days for your approval. Within 24 hours after you approve the wrap design, TradeWraps will provide a 47-inch full-color proof printed on wrap film. If you’re not nearby, we’ll send the proof via two-day shipping. Once you receive it, please review the color proof and confirm that you’re 100 percent satisfied with the colors. We will use this proof to ensure color consistency on all vehicle wraps from this project forward. We recommend looking at the proof outdoors—both in the sunlight and in the shade. If the colors are not to your liking, we will adjust them and send a new proof until you’re satisfied. Please sign and mail back the approved proof using the return label we provide. If you would like a copy of the proof to keep, we’ll provide one for a small fee. After you have approved and returned the color proof, your design advances to production to be printed, laminated and shipped. Printing will take five business days and installation will be scheduled as soon as your job moves from Color Proof to Production. If you are outside of our local service area, expect your graphics to arrive three to five business days after they are printed. We know every hour your vehicle is off the road is costing you money. That’s why our trusted, professional 3M Preferred installers work efficiently to ensure installation is complete within one or two days, depending on the vehicle. We wrap local clients’ vehicles inside our state-of-the-art, climate-controlled facility that meets optimal standards. Clients outside of our area must provide an indoor, well-lit, climate-controlled space for installation. Once your wrap is installed, get your vehicle on the road to start marketing your business! Take pictures, upload them to social media (make sure you tag @TradeWraps) and write a review about your experience working with us.